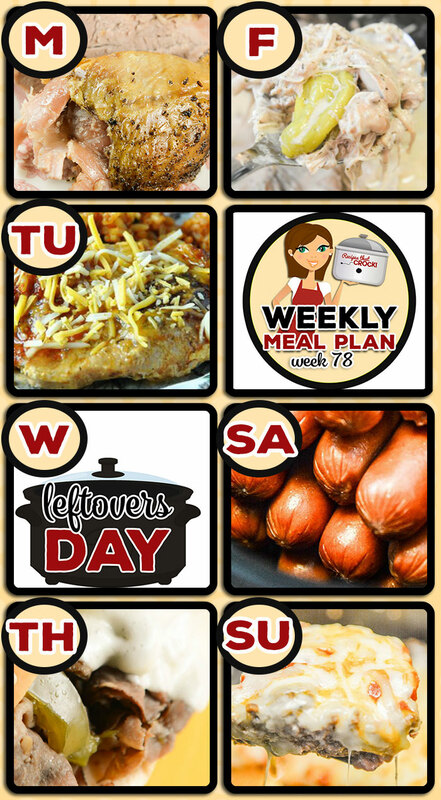 Meal Planning: Weekly Crock Pot Menu 78 - Recipes That Crock! 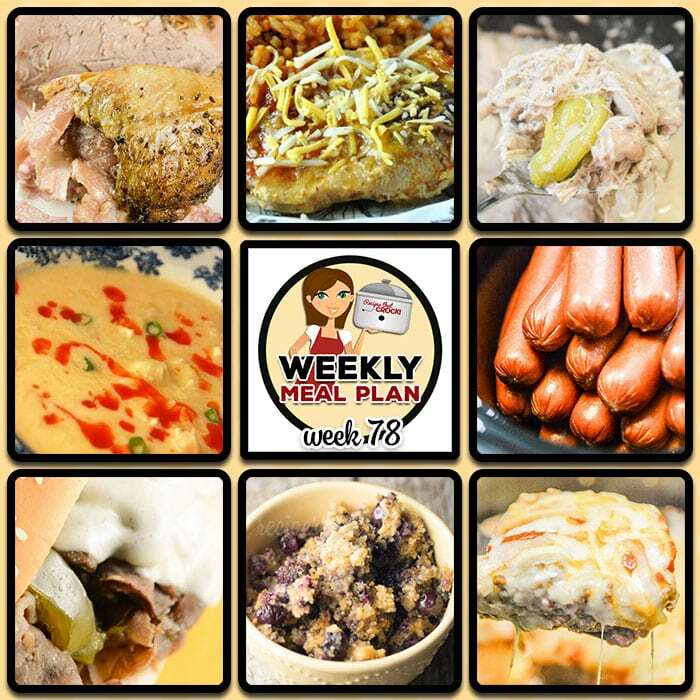 This week’s weekly menu features Crock Pot Duck, Crock Pot Cheesy Taco Pork Chops, Crock Pot Buffalo Chicken Soup, Crock Pot Philly Cheesesteak, Creamy Crock Pot Mississippi Chicken, Cooking Hot Dogs in Bulk, Crock Pot Meatloaf Parmesan, Creamy Crock Pot Chicken Salsa Dip, Mixed Berry Crock Pot Cobbler and Crock Pot Blueberry Breakfast Casserole. When you cook the hot dogs could you put sauerkraut in the crock pot with them. We haven’t tried it, but I don’t see why not. Enjoy!